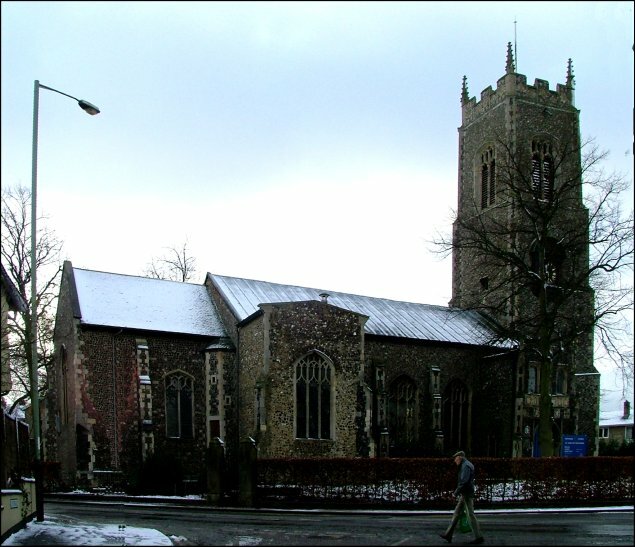 St John Sepulchre, or, to give it its full joint dedication, St John the Baptist and the Consecration of the Holy Sepulchre, may very well be the best known of all the Norwich churches. Norwich's central City railway station was destroyed in the War, but in any case the main station has long been that in the suburb of Thorpe, because that was the station where the trains from London arrived. 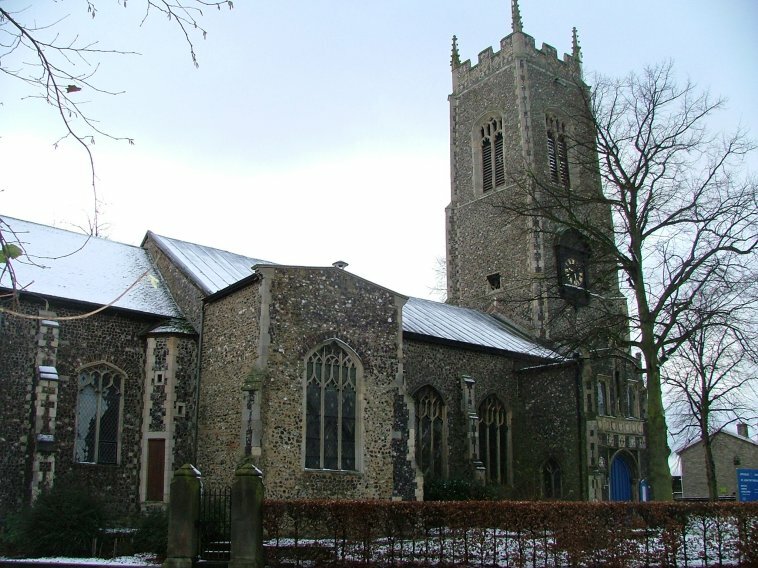 Today, it is Norwich's only station; alas, from Thorpe you cannot see the Cathedral; indeed, you cannot see any of Norwich's 30-odd surviving medieval churches, except this one. 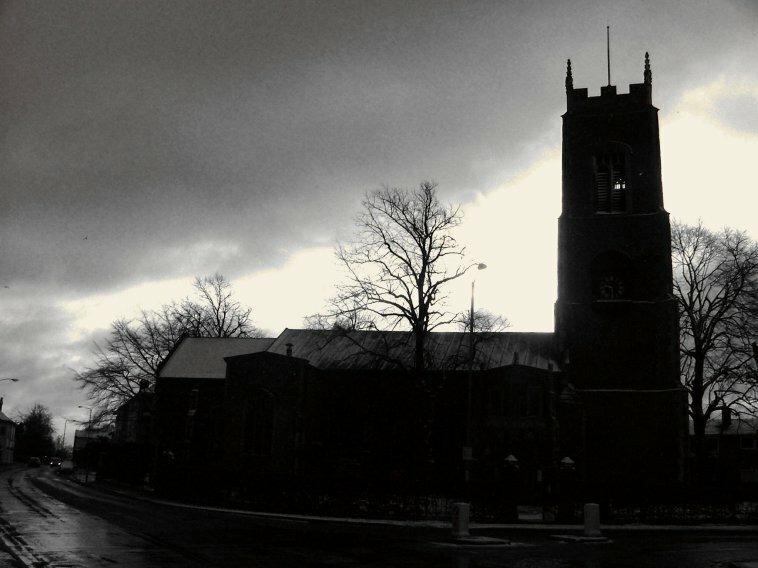 St John Sepulchre rides high on the bluff of Ber Street, a beacon for anyone arriving in the city, a citadel on a hill. The top of its tower is one of the highest points in the city. 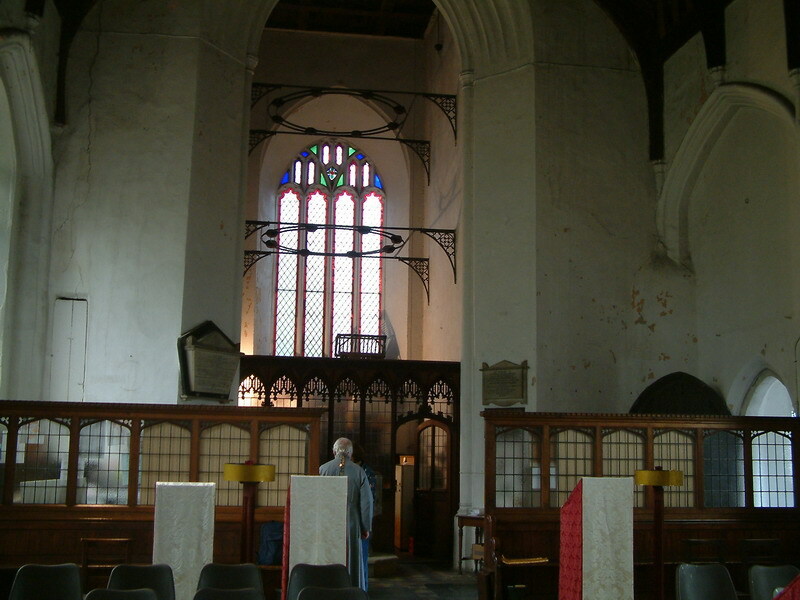 Transepted, it sprawls in its tight churchyard, far less content than its fellow medieval churches to cower below tall neighbours. 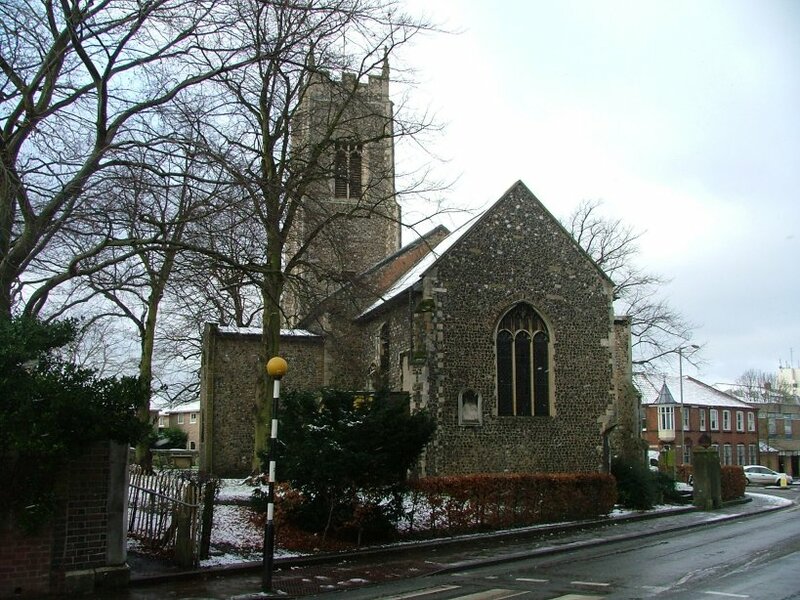 Like most of the other Norwich city centre churches it is, of course, redundant; at least, as far as its Catholic and then Anglican past is concerned. Although within the city walls, it was the medieval church which was furthest from the castle and the cathedral, the heart of a fiercely independent parish, South Conesford, near to the Berestrete gate. 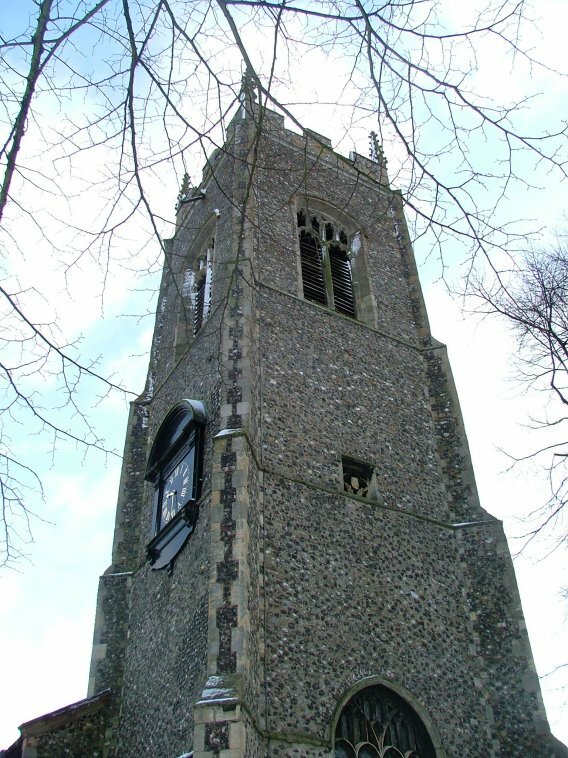 Even in the Middle Ages, it was the first Norwich church that visitors from London saw. 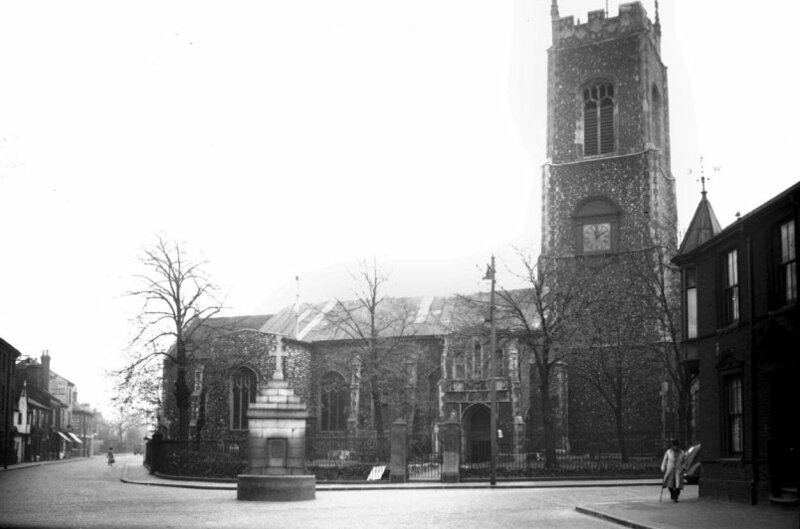 In George Plunkett's photograph from the 1930s on the left, it bestrides the end of Ber Street like a colossus, seeming to say 'Thus far and no further'. The parish cross outside of it has now gone (where?) and this is a busy traffic junction on the edge of the city centre. St John's character comes from its distance from the city centre and its proximity to the inner suburbs; but this was also its downfall. 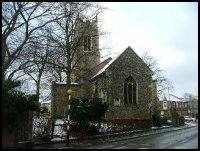 To the south of the church is the suburb of Lakenham, virtually an inner-city area, and in the 1840s that parish was populous enough to build a chapel of ease, St Mark, not 200 metres from St John. 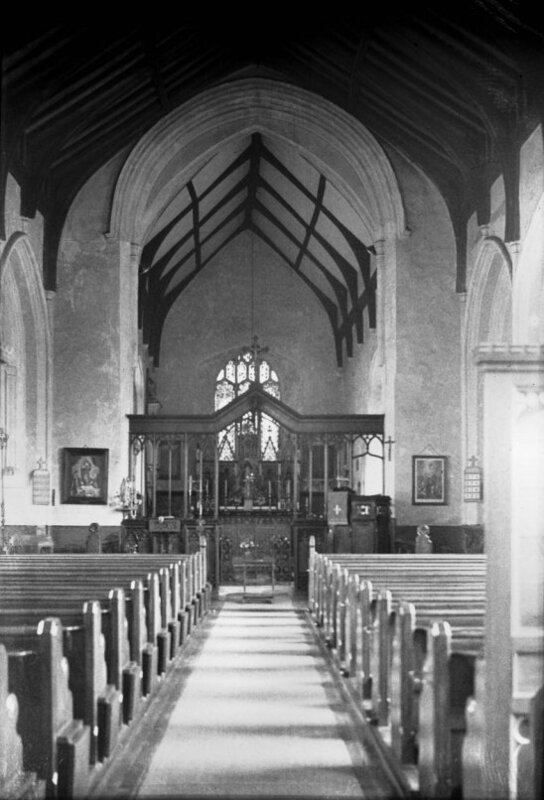 As the population of Conesford fell to warehouses and factories, so Lakenham expanded, until there were simply no people left to attend St John. It was finally declared redundant in 1970 as a result of the Brooke Report. 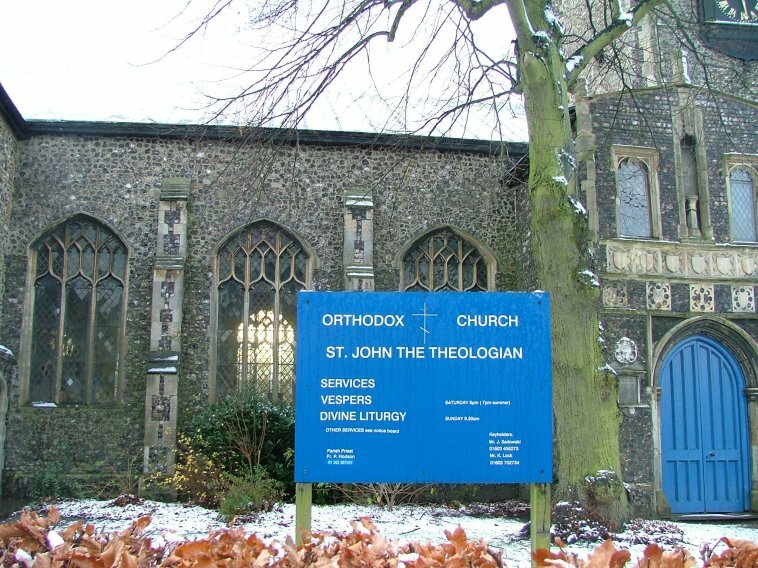 St John today is home to the Norwich branch of that curious denomination, the English Orthodox church. Hardly a denomination at all really, since its churches are, appropriately in this case, fiercely independent of each other. The church is now rededicated to St John the Theologian, the Orthodox name for the Saint we in the west call St John the Divine. 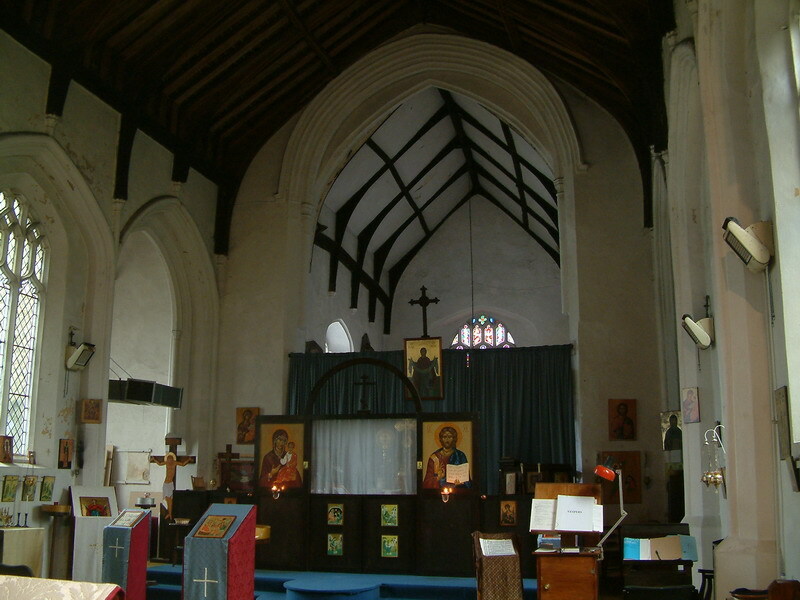 Born as part of the Russian Orthodox movement, bolstered by the minority of refugees from the Church of England who, at the time of the ordination of women Priests, did not wish to become Catholics, and supported today in an England that has seen an influx of thousands and thousands of workers from the former Soviet Bloc, the English Orthodox movement is a fascinating example of the way in which theological currents are rarely predictable. 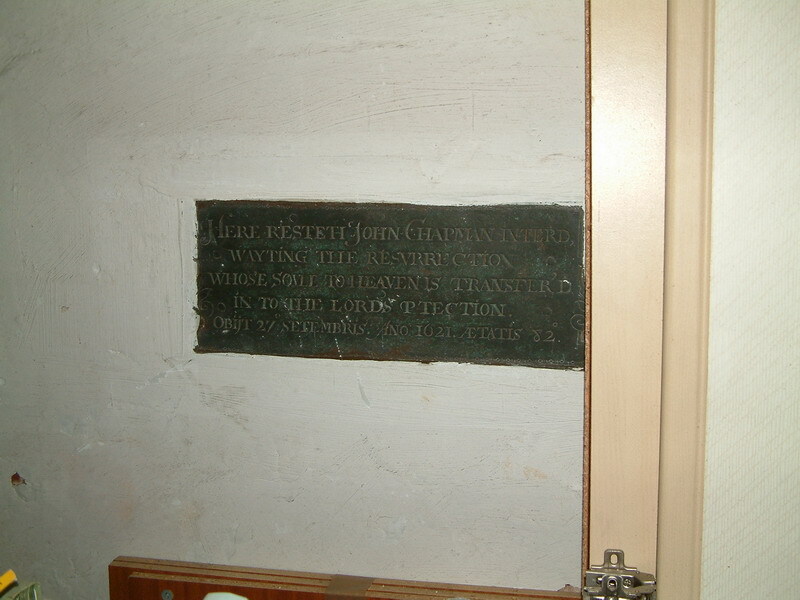 Inside the church there are few medieval survivals; St John was given a thorough going over in the 19th century. 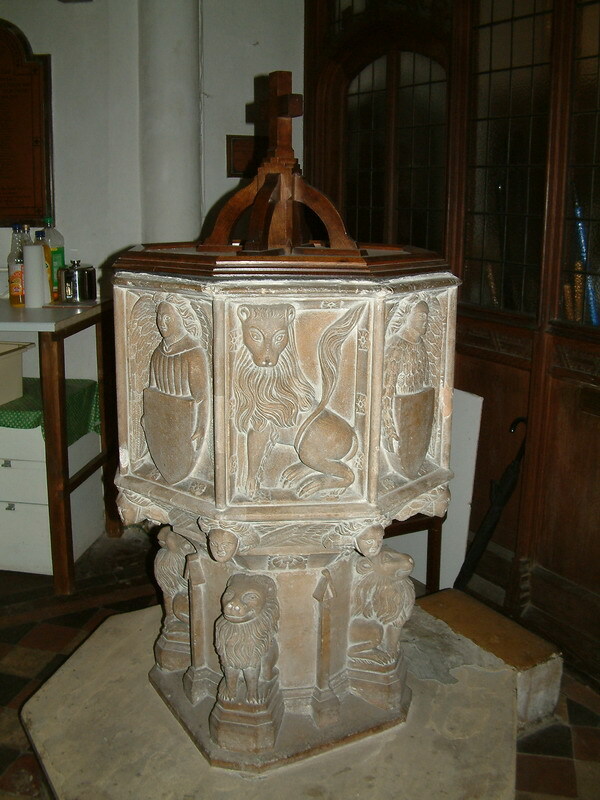 But there is a good, typically rural East Anglian font, and you can see it in Chris Harrison's image, as well as some other features of the church. But be aware if you are a fan of John Oldrid Scott that his reredos here is now behind the iconostasis, and may not be approached by anyone except an Orthodox Priest, who will be understandably reluctant to take a photograph of it for you.